WITH AN INTRODUCTION BY JEANETTE WINTERSON AND A CULTURAL HISTORY OF FRANKENSTEIN'S MONSTER What you create can destroy you. One freezing morning, a lone man wandering across the Arctic ice caps is rescued from starvation by a ship's captain. 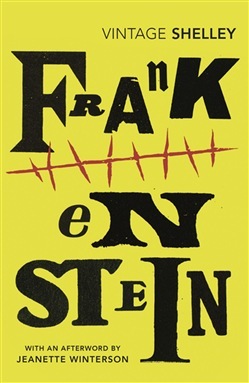 Victor Frankenstein's story is one of ambition, murder and revenge. As a young scientist he pushed moral boundaries in order to cross the final frontier and create life. But his creation is a monster stitched together from grave-robbed body parts who has no place in the world, and his life can only lead to tragedy. Written when she was only nineteen, Shelley's gothic tale is one of the greatest horror stories ever published.